C6 Matte Dash is specifically designed to protect dashboard and door card materials including leather, vinyl, plastics and rubberised finishes. It adds abrasion resistance, dirt, water, static and UV repellency to treated surfaces. 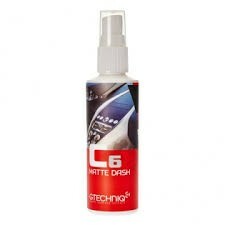 It will not affect the gloss of your car’s trim and leaves a natural feel. It should not be used on suede, nubuck or any other fibrous finishes.